Books as physical objects are a delight, and many people feel the same way as we do. If not, how can you explain that so many people are drawn to take photos of books? Even though Light Stalking thrives in the virtual world, we also hope the printed page never disappears. Books are an amazing subject, but you need to be inventive with your composition to really make your photographs of books pop. I mean, books are really just a rectangle so the creativity comes with composing in an interesting way. Impactful photographs are all about composition, and choosing an everyday subject and photographing it creatively and with a meaningful story, is all part of the fun. So to get you thinking creatively, here are 35 beautiful photographs depicting books! Getting photography composition right has always been the greatest challenge for the photographer. If you’d like to get better at photography composition and really understand the basics, so that you can take your photography from average to awesome, you should take a look at Kent DuFault’s Understanding Composition. Understanding Composition – will ensure you create images that pop. You'll get more out of your photography and start taking images that will truly capture your creative vision. If you’d like to improve your composition skills and learn the concepts of composition, do take a look at Kent DuFault’s guide Understanding Composition. If you are looking to improve your photography composition and learn the concepts of composition, do take a look at Kent DuFault’s guide Understanding Composition. With this guide, you will get a complete understanding of composition fundamentals, taught through 120 Easy-To-Follow Pages of training, illustrations, and assignments. Click here now to check it out. 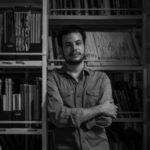 Federico is a one of our staff writers and has 10 years of experience in making documentary photography, he is currently working in long-term photo essays and you can see more of his work here. He is also a professor at a design-focused University, and is currently pursuing his PhD (and of course, his thesis is around Photography). His work has been featured in museums, newspapers and magazines. He is currently based in El Salvador.